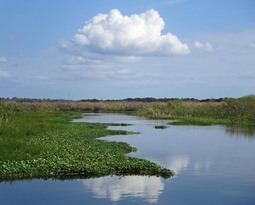 DeLand and Volusia County sit atop the Floridan Aquifer, a vast and fragile reservoir of fresh water that underlies the entire state. 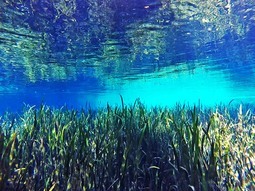 This makes the area a unique environment. 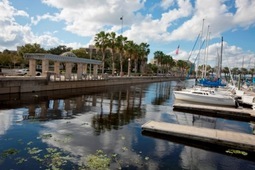 DeLand is the hub for a region of extraordinary aquatic diversity that includes three first-magnitude springs, the “black” waters of the richly historic St. Johns River, the second largest lake in Florida, and the most biodiverse estuary in North America. 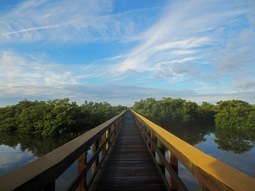 Within twenty-five minutes you will go from extensive marshlands to a broad expanse of undeveloped Atlantic Ocean beach. 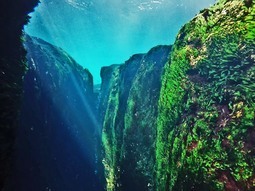 This makes for exciting discoveries in natural habitats—bears, reptiles, fish and birds. 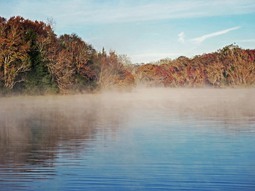 The area’s robust system of hiking and bike trails connects many of these areas and opens up natural wonders for you to discover including one of America’s best lakes for rowing, Lake Beresford. Add to that an reimagined playground built by community volunteers for children of all ages and abilities, a center-piece midtown park with tennis courts, skateboard park, amphitheater, fountains, and dog park, top-notch golf courses, and world-class skydiving. 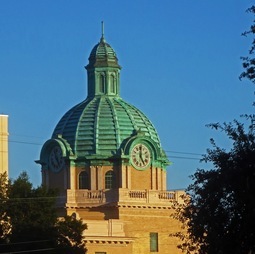 DeLand won’t disappoint. 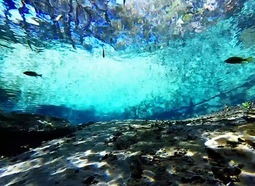 Wekiwa Springs State Park protects the main source of the Wekiva River and offers visitors a genuine wilderness experience literally across the street from suburbia and a mere 16 miles from downtown Orlando. 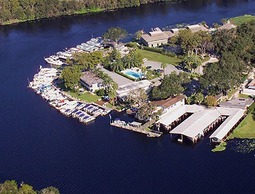 Those privileged to stay at the CCC-constructed cabin next to Sweetwater Springs enjoy a unique experience of Florida difficult to imagine. Visitors to Smyrna Dunes on the southern side of Ponce Inlet can savor nearly constant views of phenomenal celestial scenery. Shifting clouds pushed by maritime breezes offer a satisfying display on a daily basis. 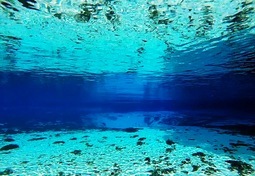 Turquoise waters sparkle above white sand and glimmering shells that create the “silver” in the springs’ name. 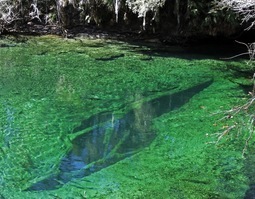 Rock Springs stands out from other Florida springs because it emerges from a 20 ft.-tall stone bluff rather than from a more typical underwater vent. 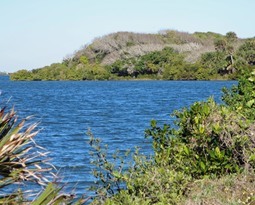 A visit to Ponce Preserve offers an amazing variety of experiences in a relatively small area. 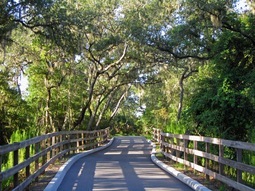 Across the street from the parking lot, a boardwalk enters a lush marsh area dominated by mangroves. 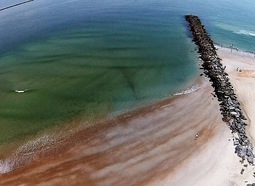 Few views are as inspirational as watching a colorful sunrise from the tip of the north jetty at Ponce Inlet as Atlantic breakers crash loudly against the rocks. 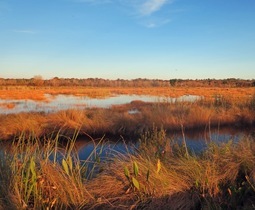 The Lake Woodruff National Wildlife Refuge protects some 22,000 acres of freshwater habitat and several significant archaeological sites. A small property on the northwest shore of Lake Beresford is the future home of the Sandra Stetson Aquatic Center and the offices of the Institute for Water and Environmental Resilience. 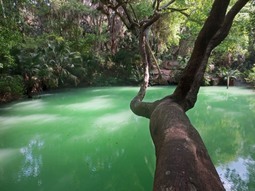 Two oasis-like springs grace the Juniper Springs Recreation Area in the vast Big Scrub of the Ocala National Forest. 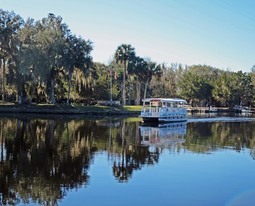 An ideal way to experience it is on the relatively quiet electric-powered ferry that takes visitors across it to Hontoon Island State Park. 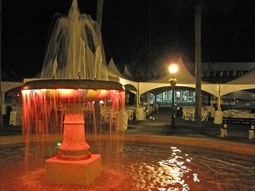 The Holler Fountain itself has been the center of Stetson’s DeLand campus since 1951 and graces what is now called the Palm Court, a wonderful grove of large sabal palms, Florida’s state tree. 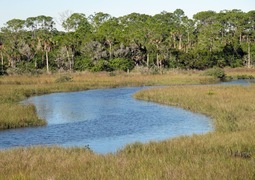 This unique natural feature, producing an average of nearly a million gallons of water per day, is the jewel of Volusia County’s park system. 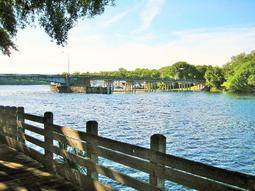 The twin springs discharge an average of 6 million gallons of water per day that make their way into Mullet Lake, Lake Monroe and eventually into the St. Johns River. Several delightful water features grace historic downtown DeLand. 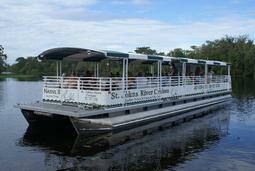 Visitors to DeLeon Springs State Park can savor its wildly diverse and genuinely ancient history. 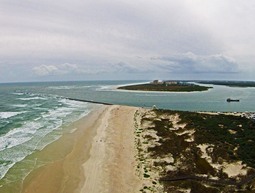 This lengthy stretch of undeveloped beach offers visitors the opportunity to experience Florida as it was millennia ago. 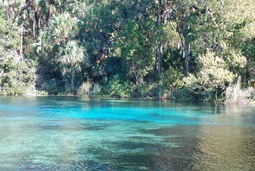 Blue Spring is the largest spring in the St. Johns River basin, making it the most significant in all of eastern Florida. 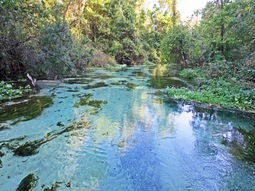 Alexander Springs offers the most visually spectacular locale among all the springs in the Florida Aquatic Gems project.